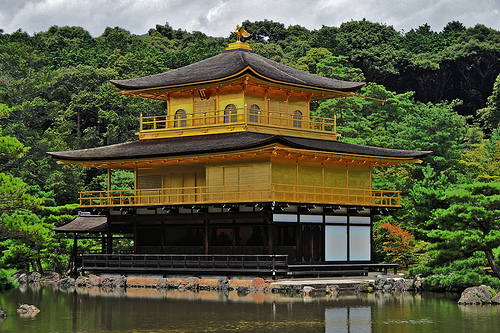 Using 4500 pieces of LEGO, this man built an amazing pop-up Kinkaku-ji (Known as Temple of The Golden Pavilion)!!! Can you imagine how he figures out the mechanism of this?? It’s a nice compact sized structure but the weight is 4kg, not so light. On the side (package), it says “Kinkaku-ji” in Kanji character, and even looks like a package of real LEGO product, but it’s not on the market. The creator, “talapz” took two months to finish this piece. Not only did he create this amazing piece, he composed the cute tune played in the video.